ITANAGAR, Dec 13: Members of the Poma Rillo Moin Youth Welfare Society (PRMYWS) and the Ganga Youth Club (GYC) conducted a survey of the forest area around Poma panchayat from 10-12 December in order to detect if illegal activities had been carried out there. 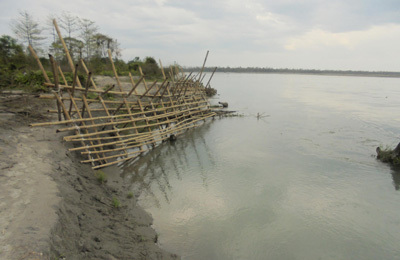 The survey was conducted in view of the growing concern over outsiders illegally trespassing into the traditional village land to collect natural resources and indulge in hunting. In a release, the organisations informed that during the survey they found shelter houses constructed by hunters in several areas deep in the forest. They said they dismantled the shelters and put up a signboard warning people to keep away from such activities. 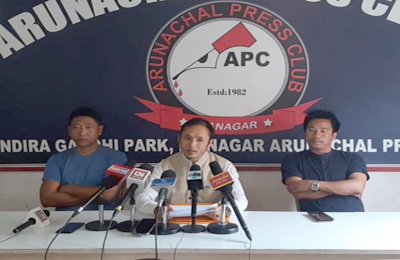 Expressing concern over such illegal activities, the PRMYWS and the GYC have requested the forest department to undertake patrolling in the area. They have also warned outsiders against venturing into the forest area within Poma panchayat to carry out illegal activities. “A penalty of Rs 50,000 and a case under the Wildlife Act will be registered against anyone violating the resolution of the villagers,” the organisations said.